If the current lawsuit by Total Wine and More is successful, what would happen to package stores in the marketplace? CPSA has researched some of the results in other states where major changes in regulation of alcohol, similar to what is proposed in the Connecticut lawsuit challenge, have occurred. The issues being challenged consist of setting prices — including the minimum bottle price, minimum cost of selling a single container, price posting, and discounts. Minimum Bottle – The game here is to reduce the minimum bottle to the lowest price any store paid for the bottle. This means that a store, which bought five hundred cases of an item in February, could sell at that low price every month until the supply is gone. Enforcement would be all but impossible. Posted Price – This would also be changed from a monthly posting as it is now, to whatever the goods cost whenever purchased. Effectively, this would dramatically impact enforcement and would widen the gap of prices paid and bottle cost to the consumer. Discounts – If allowed, discounts would most likely cause an increase in all goods to allow any buyer with considerable financial resources to buy hundreds of cases at a price below what any other retailer could afford. The overall strategy of dominating the marketplace is to sell the top 25 brands most purchased by the public below cost. Constantly advertising these brands will affect everyone. Purchasing patterns of the public will change. Larger orders would go from traditional, established stores to those with large discounts. Any store that believes they are isolated will be as surprised as most stores in other states were with a similar pricing pattern. The geography of the state will allow shorter distances to stores practicing major price reductions. CPSA will be facing a two-front battle next year at the legislature, and in the courts. Your support in donations to the legal fund and renewing or joining as a new member are critical. You cannot stand by and watch this time. You need to donate, as it will not be done for you by others this time — the cost of legal fees may become a major issue that CPSA is unable to overcome. CPSA has joined with the Wine and Spirits Wholesalers of Connecticut (WSWC), the Connecticut Restaurant Association (CRA), and the Connecticut Beer Wholesalers Association (CBWA) to oppose as an intervenor against Total Wine with the defending Attorney General, George Jepsen. In addition to the WSWC, CPSA has retained Attorney Patrick Klingman of Hartford, who will also represent CPSA in the action. The WSWC has retained Attorney Robert Langer of Wiggin and Dana Law Firm, who has extensive history in not only antitrust issues, but most importantly, the liquor industry. 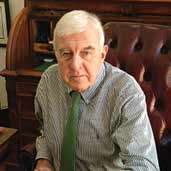 Langer successfully defended the state regulatory system when he handled the antitrust decisions in the Attorney General’s Office on several legal challenges. The opening of the legislative session is only eight weeks away as the elected majority and minority select its leaders for the next two years. Once the leaders are selected, committee chairs will be chosen to lead committees both by the Senate and House. After the committee chair selections are announced, which could be made anywhere from mid-November to late December, legislators will be selected for the committee membership. This year, there have been a number of changes in the General Law Committee, due to retiring members from both sides. There are usually fewer numbers of new people on the committee each year, since most of those on the committee very much like the assignment. This year will see the most open positions in several years. Despite a pending lawsuit, it is expected that Governor Malloy will again file legislation with the General Assembly to eliminate the minimum bottle or other items. There will be an overall budget battle, since the budget for 2017-2019 must be adopted in the 2017 session. Revenue continues to drop each month with the personal income tax. Also, expenditures continue to grow in normal increases, as well as spending for bonding, other debts, or retirement payments. Food stores will reportedly be seeking to sell wine in all stores. This proposal has been before the legislature in the past on more than one occasion. This proposal was communicated to some legislative leaders recently.